Copper: Helpful or Harmful for Plant Health? You might already know that copper is one of the essential micronutrients that plants need for growth, but did you know that some plants require more copper than others, or that copper is what gives onions their yellow colour? Read on to discover more about this essential trace mineral. Copper is one of the essential micronutrients, or trace minerals, that plants need for growth. As with any nutrient, plants can absorb and use only certain forms of copper. For example, copper metal is useless to plants, but once dissolved in acidic conditions, copper enters plants very easily. Under high pH conditions (alkaline) copper becomes unavailable to plants. Copper has specific duties in the plant. 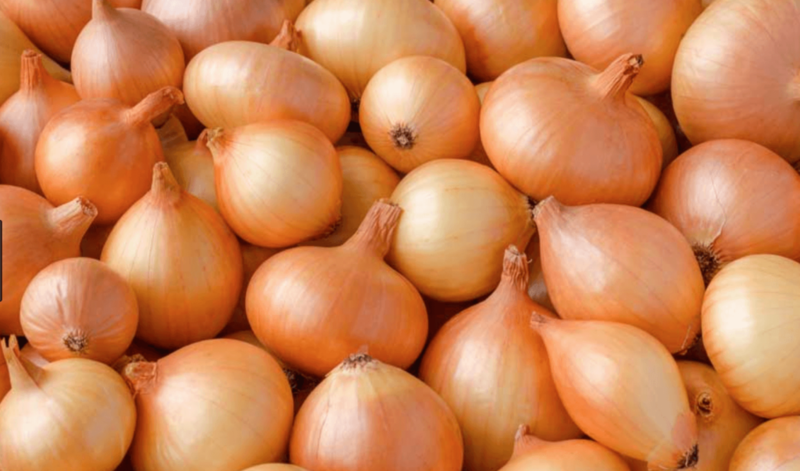 In onions, copper is the main ingredient needed to give yellow onions the brown papery skin desired by consumers. Plants have several copper-containing enzymes that play an important role in photosynthesis, respiration and the formation of lignin in woody plants. Insufficient levels of copper (copper deficiency) can lead to symptoms of reduced starch formation, reduced nitrogen fixation and nodulation in legumes, delayed flowering and maturity and pollen sterility. In broadleaf plants the upper portion of the plants’ wilt, the growing point may die and the top leaves turn a distinctive bluish-green colour. found only in soils rich in copper and helped with the discovery of mines and smelting areas in 14th century Zaire. Other examples of copper-tolerant plants include the Vernal Sandwort and the Sea Thrift from Europe, and Elsholtzia haichowensis (no English common name) from China. As a rule, beans, broccoli, cabbage, cucumber, mint, pea and potato do not require extra copper supplementation. High levels of copper can be toxic to plants. The symptoms of copper toxicity are reduced seed germination, low shoot vigour, and lower iron availability. Copper has very powerful anti-microbial properties. For example, a stainless steel sink will harbour germs for two weeks while a copper sink will be germ-free in two hours. This was confirmed by a recent EPA study and it is why most hospital doorknobs, handrails and fixtures are made of copper or plated with brass (a copper alloy). For over a hundred years, copper sulfate has been used in commercial agriculture as a foliar fungicide for powdery mildew disease control and copper plating was a technology that began in the mid-1600s. One common use for copper plating, widespread in the 1700s, was the sheathing of ship hulls. Copper sheathing was used to protect wooden-hulled ships from algae and shipworms (which are not a worm but a mollusc). The ships of Christopher Columbus were among the earliest to have this protection. Today, copper sulfate is sometimes used in swimming pools, reservoirs and lakes to control algae. Similarly, copper compounds were the principal ingredient in boat anti-fouling paints, although newer chemistries are being developed for this purpose. Copper metal strips and tapes are used in greenhouses as physical barriers that snails and slugs will not cross. Copper also is used as a wood preservative and it is not uncommon to see older wooden greenhouse benches with a light green colour indicating copper treatment. Under the organic food laws, copper may not be added as a plant nutrient unless there is a documented soil or tissue deficiency. The amount of copper that can be in a product is restricted by most states. For example, in California, copper is one of nine heavy metals that are regulated in plant products, along with arsenic, cadmium, cobalt, lead, mercury, molybdenum, nickel and selenium. Copper salts (copper sulfate) are commonly applied to soil to provide copper. However, these forms of copper readily react with other chemicals in the soil and become unavailable to the plant. In order to protect the copper from reacting with other chemicals, fertilizer manufacturers make chelated products. Chelation is a term that describes the process of creating a chemical shell around the copper. Once the chelated copper is inside of the plant, the shell comes off and the copper is released to do its work. Copper chelates do not have the fungicidal property that copper salts have. There are several materials that can be used as chelators to make a shell around copper. A common chelating agent is an ethylenediaminetetraacetic acid (EDTA). This material is synthetically made and not suitable for use on organically certified food crops. EDTA binds tightly to copper and does not let it go easily. For example, people with heavy metal poisoning (like lead or mercury) are given EDTA to bind to the metal and physically filter it out. Obviously, the doctors do not want the EDTA to let go of the heavy metal easily. Furthermore, EDTA has separation anxiety – in that it will not give up its metal unless there is another one to trade. So, people treated with EDTA for heavy metal poisoning often get calcium deficiency. In plants the same is true. For example, plants given iron EDTA will often develop manganese deficiency, so in effect, you are trading one deficiency for another. Another type of chelate on the market is the amino acid chelates. These products use amino acids (the building blocks of protein) as a shell. This shell is held onto the copper with citric acid as a binder. These products are generally certified as organic fertilizers. In California, the fertilizer laws state that citric acid is the chelating agent-not the amino acid. So, you will not see labels for amino acid chelated copper in California. Amino acid (or citric acid) chelates are a smaller molecule than EDTA so they penetrate the leaf easier and absorption time is greatly reduced. Also, plants recognize the amino acid as a building block and readily take it in. Once inside the plant, the amino acid shell is stripped off and used, as is the copper. Conversely, EDTA is synthetic so only the copper is used by the plant. The good thing about chelated copper fertilizers is that they can be used on the plant foliage, the soil or in nutrient solutions; however, there are some restrictions. Organic matter (humus) binds to copper more tightly than it does with any other micronutrient. This tie-up of copper is a common cause of copper deficiency in soil systems. If the copper level in your solution is on the high side, then knowledge of this property may affect your choice of substrate. Choosing organic soil over a sand substrate can mitigate the effect of high copper in your solution. Increasing the pH level increases the amount of copper held by organic matter or clay (which reduces the availability of copper to the plants). If you are growing plants on a soil substrate with a pH above 7.5, then you need to check periodically for copper deficiency symptoms in your plants. 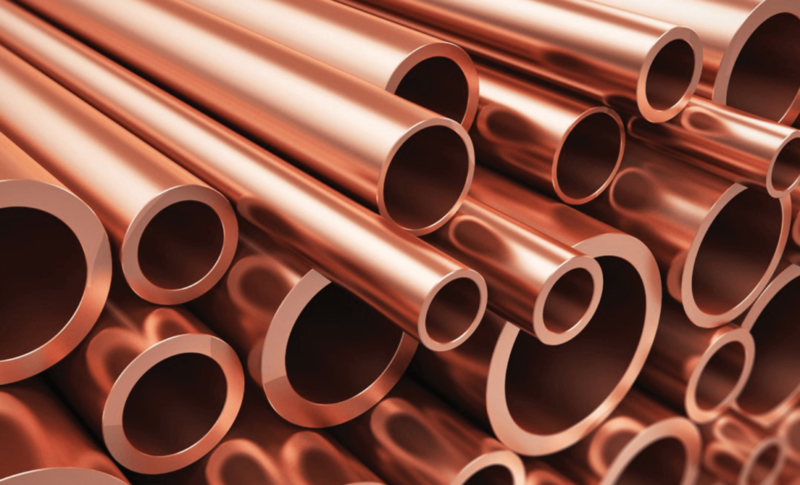 Copper metal is very malleable and is not as susceptible to corrosion like other metals, which is why it is still used today for pipes. In addition, copper has antibacterial properties that help to ward off micro-organisms like those that cause Legionnaire’s disease. Unlike plastic, copper does not give off fumes, melt or burn. 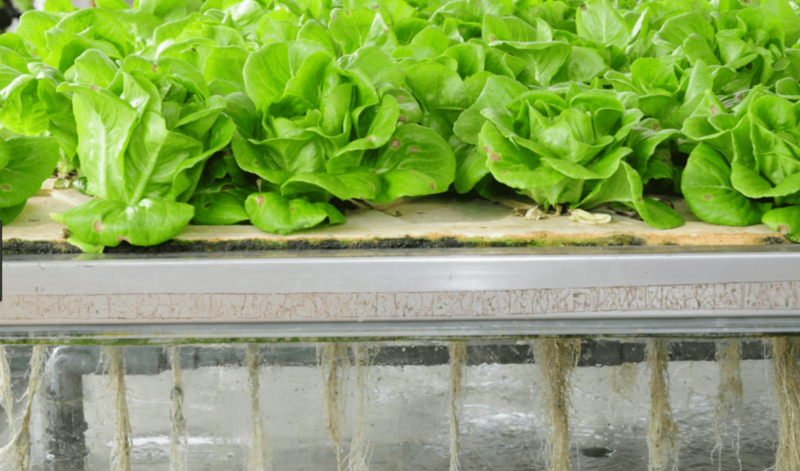 However, the copper content in a closed hydroponic system should be minimized to prevent copper accumulation in the nutrient solution and in the plants. If the levels of copper are high in your source water, replace the copper pipes with high-pressure PVC piping. Copper is a soft metal that readily corrodes or ionizes, especially in acidic environments like aquaponics. Copper is considered to be a heavy metal and fish readily accumulate copper in their flesh. 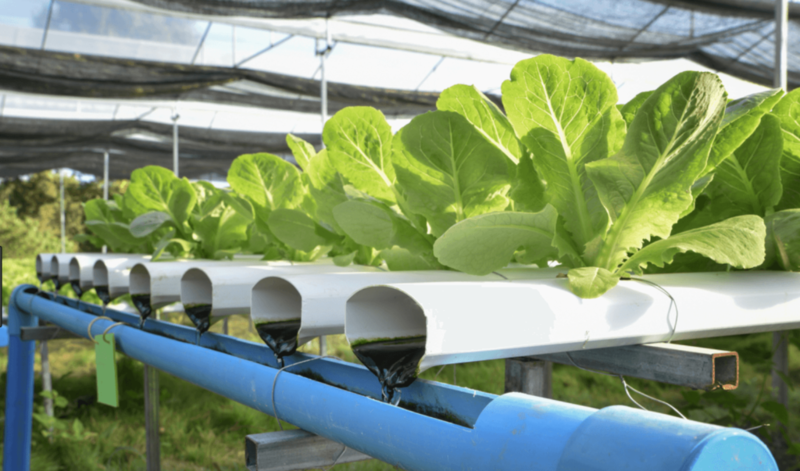 Aquaponic systems are recirculating by design, which compounds the possibility of exposure and bioaccumulation of copper in both fish and humans. Copper is toxic to fish at low levels and crustaceans at minuscule levels. Do not use copper heat exchangers in solar water heaters and minimize the use of copper pipes in the system. Most systems today use plastic PVC pipe almost exclusively. 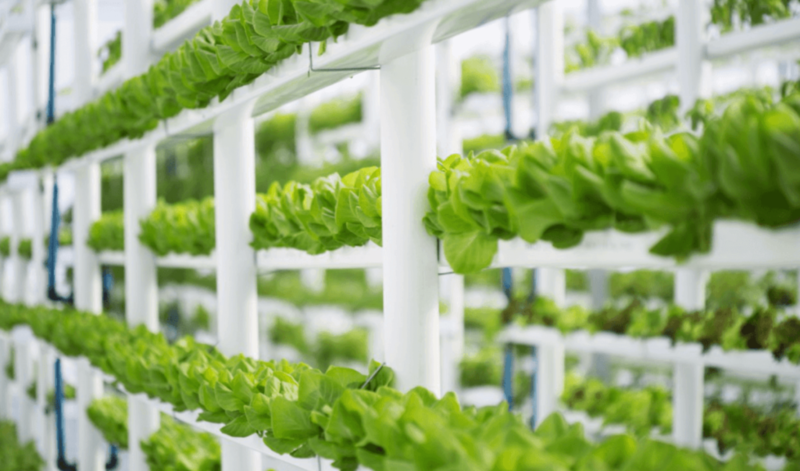 In aeroponic systems where the nutrient solution is periodically misted onto roots suspended in the air, copper is added to the nutrient solution. Since the roots are not immersed in the solution it is unlikely that the plants will absorb enough copper to be phytotoxic. In this system is it not so imperative that copper piping or plumbing be eliminated from the system. Copper is not only an essential plant nutrient, but it’s also a tool that can be very beneficial to your indoor growing operation. Copper can be a big problem when not used in the proper environment or in the right form. But now that you know the hazards and the benefits of copper products, you can more confidently use them to keep your operation running smoothly and efficiently.